The package is not added to the list. It was great seeing you and the MGI gang at NIWeek 2010! 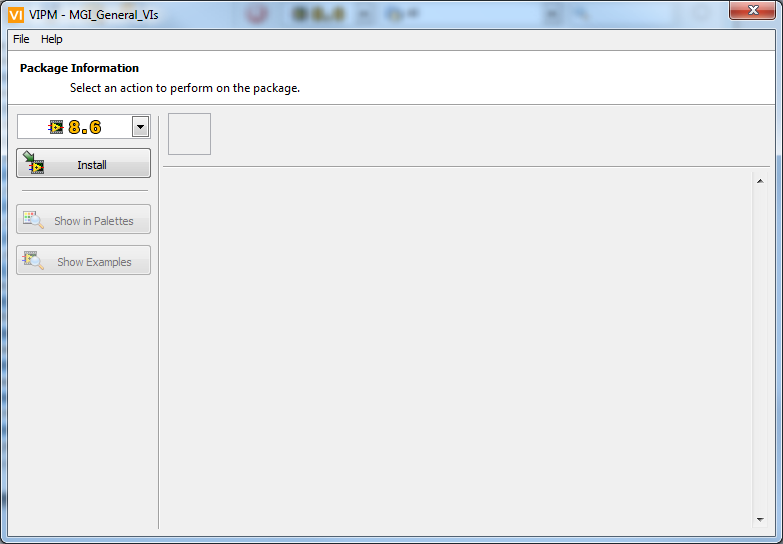 When you "open" a single package in VIPM 2010, it doesn't add the package to the VIPM package list -- it opens the Package Info Dialog. This is the designed behavior. 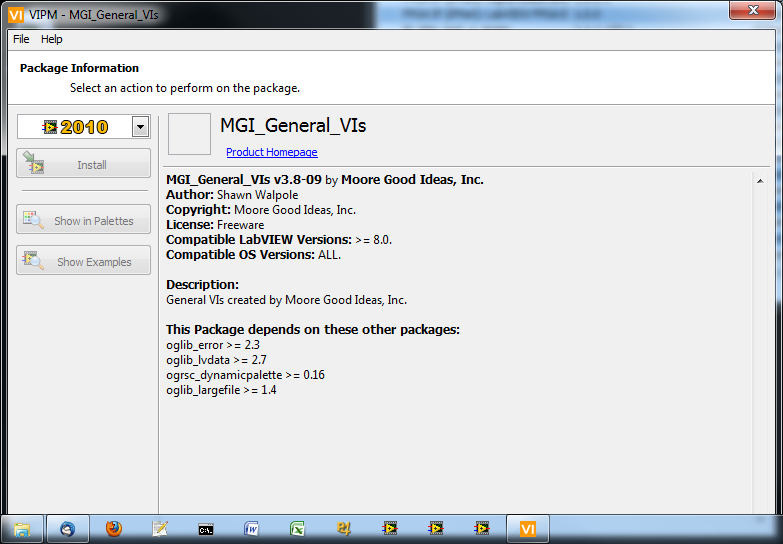 Then, if you install the package it will appear in the package list. However, it seems that you've found a bug that's preventing the package info from actually appearing in the Package Info Dialog. That's strange. Are you able to reproduce the problem or did it just happen once? Please submit your VIPM error log. Follow instructions here. It was really, really great to see you as well. Thanks so much for putting on that great BBQ. It is very reproducible. Just select a single package to add. I do not see it with the ones that automatically download from the package servers. Michael asked for an error log, so I'll post to that message with a fresh error from this morning. Here is the error log from this morning after a single attempt to Open a single package. It appears to be complaining about file permissions, but I don't see any file permission problems, and like I said, these packages install fine as long as you select more than one. Yes, this is expected, too. If you try to open multiple packages, we assume you're wanting add them to your package list or install them all. Sorry if this isn't the most intuitive/expected behavior. My guess about the permission issue is that the file ("C:\Users\Matthew\AppData\Local\Temp\icon.bmp") is read-only. Can you please confirm? Can you attach your package file (or email it to customer-service@jki.net) so that we can take a look and try to reproduce this? Ah, you are brilliant, Jim. Resetting the Read-only attribute on this file in the temp directory will fix the problem. The key discovery for me was that deleting the file causes the problem to reappear, so I checked into our package, and there are a few files (the icon among them) that are built into the package with the read-only flag set. So, we need to make sure that all of the files destined for the package get the read-only flag cleared before we build the package. Very impressive remote debugging- many, many thanks. I'll file a bug on this, so that VIPM better handles packages containing read-only files. I assume that this package was not built using VIPM 2010 (since VIPM 2010 builds the icon.bmp file dynamically and it should never be read-only). Yes, we are still using the older tools, but we are working this month on getting switched over. Thanks for the great tools. That's great to hear. We're looking forward to your feedback.